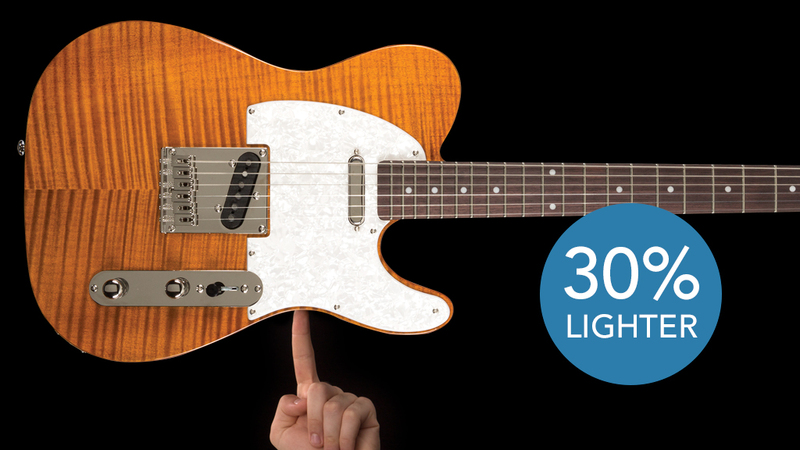 Our Kickstarter campaign to bring you ultra lightweight guitars weighing 6 pounds or less has less than 3 days left and you can still get a pre-sale price on an Enlightened model. Prices will never again be as low as they are during this campaign! For a long time, members of our community of players have been asking for a lighter weight instrument that didn’t sacrifice tone or style. We spent two years researching how we could fill this need in a way that made us proud to put our logo on the headstock. We are stoked about the result and are proud to introduce the Enlightened Series to our players and the Kickstarter community. We chose to introduce this new product line on Kickstarter as a way to gauge interest and as a vehicle to introduce the Michael Kelly brand to a broader audience. As a community-oriented platform, Kickstarter was a natural fit for this product that was conceived out of a response to our community. Launched on March 21, our campaign was fully funded in under five hours and our $5000 goal was doubled in less than forty-eight hours. Thanks to this quick success, we were able to move forward on production of the Enlightened Series ahead of schedule. Within one day of the project being revealed on Kickstarter, it was designated by the platform as a “Project We Love.” The campaign will run through April 20, 2017. New Michael Kelly Guitars for 2017! Help us choose a bass headstock! Neck joint: Traditional or all-access? Which scale length is best?